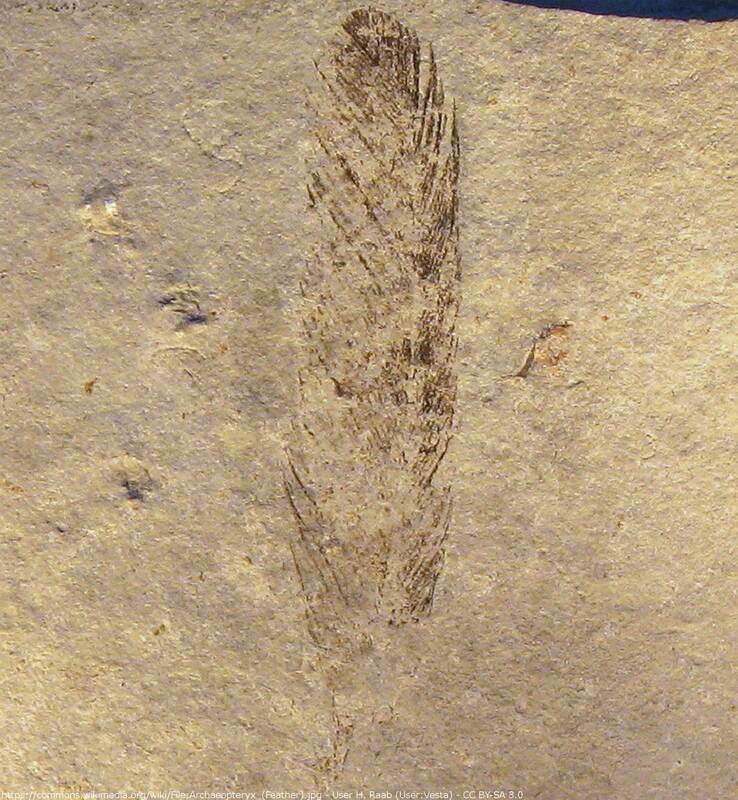 Archaeopteryx Feather from Solnhofen, The Munich side. 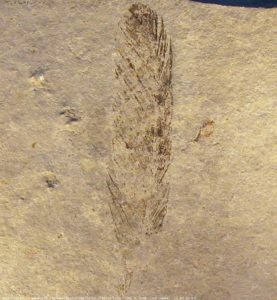 The side of the Munich Archaeopteryx specimen Photographed in 2009. Apparently the fossil do show today mush less colour and contrast than in the year 1862. It is assumable that some of the fossil substance got lost over the years. Maybe that was caused by handling or storage conditions.